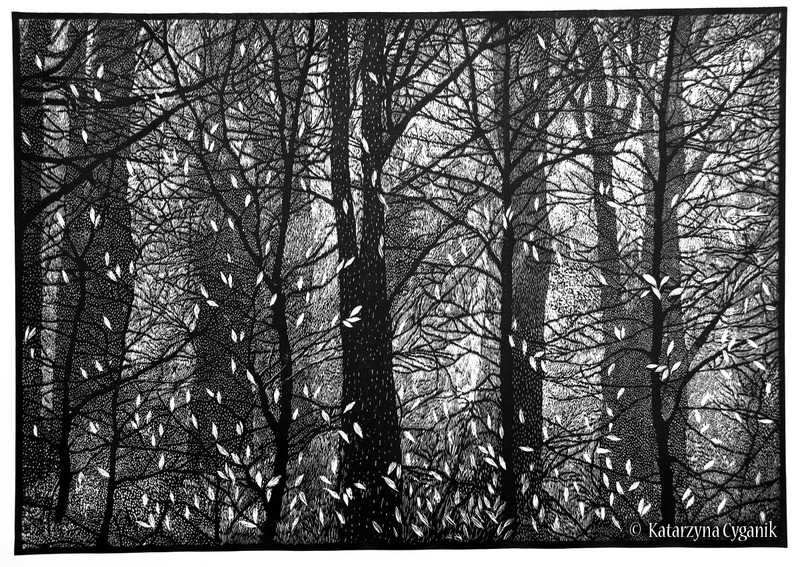 Katarzyna’s work is extremely detailed linocut made of dot shading and very fine markmaking. It has a dreamy quality. 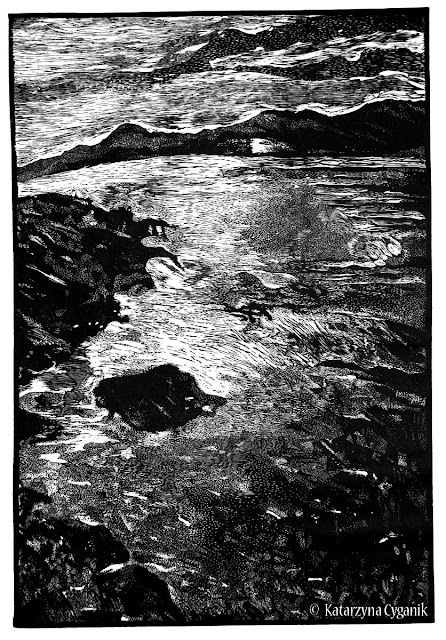 I am not sure if this is partly done using etching techniques with bleach, or something like a mezzotint shader. 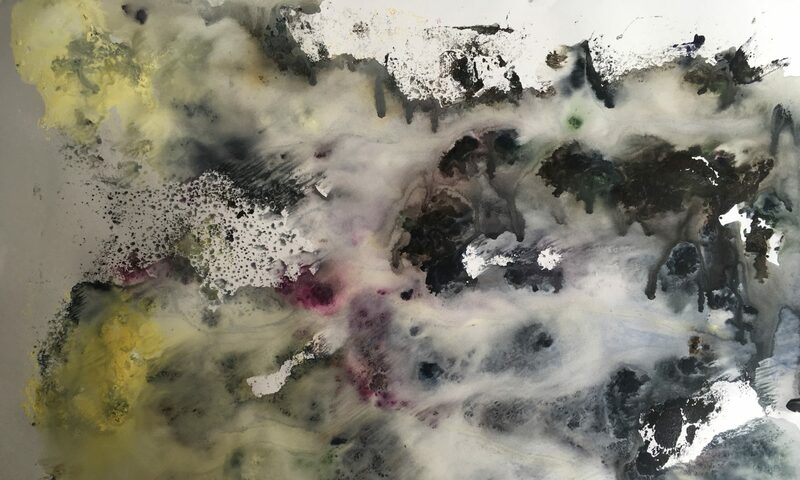 She also generally chooses dramatic composition – reflections, swirling sky and water. The compositions are often upside down reflections in water, or putting the dark area at the top right. This significantly increases the sense of drama and the unexpected even on apparently simple scenes of just trees and water. 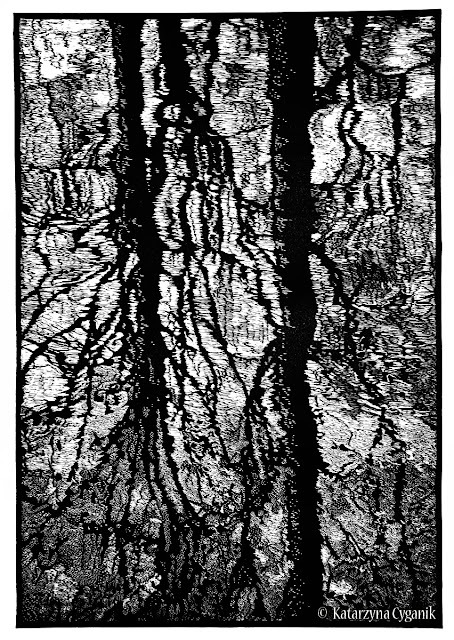 Reflections This is an amazingly detailed and well-obesrved linocut rendering of tree reflections in water. Forest This shows leaves falling from trees with sharp contrast between the white leaf shapes against a misty background of forest trees. 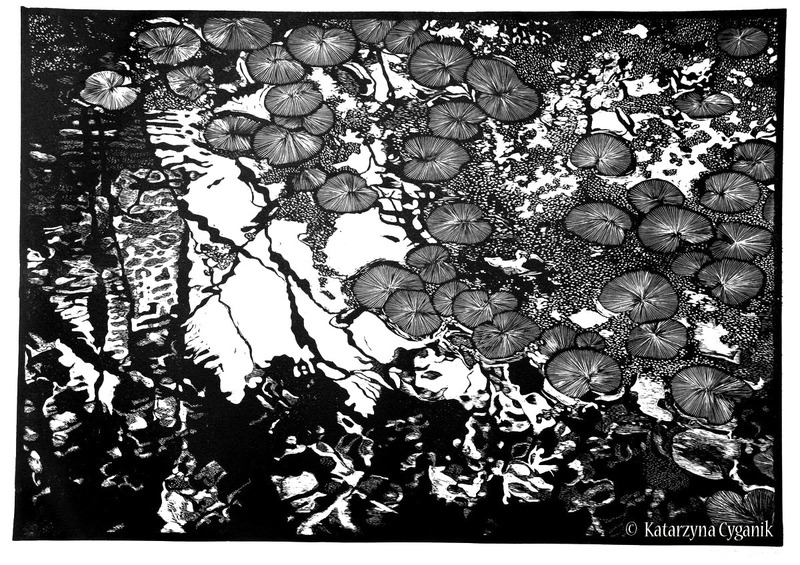 Landscape This shows a waterlily pond with beautiful contrasts between the dark round waterlily leaves, straggly thin stems and water. Landscape This shows a seascape with swirling waves in very small marks. Though the scene itself is not so unusual. There is no biography or details of technique or size of the images on the website.